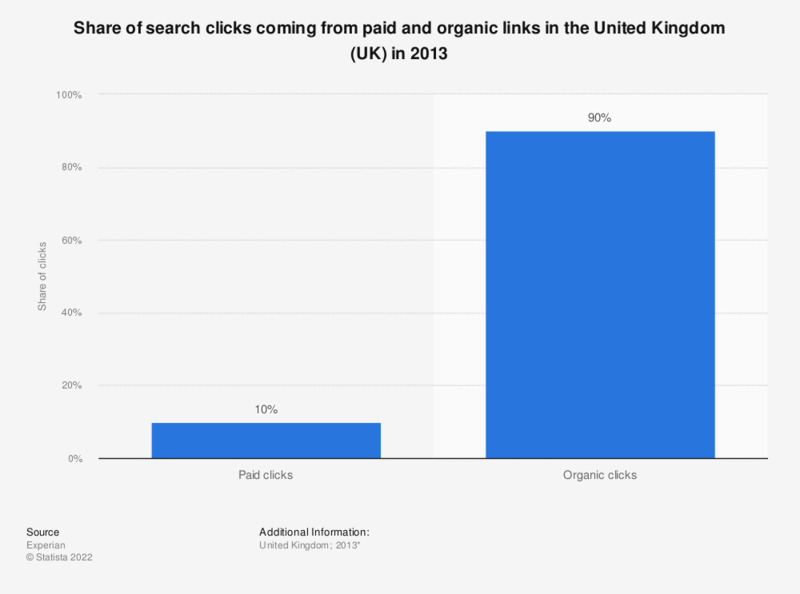 This statistic displays the ratio of paid to organic search clicks in the United Kingdom in 2013. Ten percent of clicks were from paid links. * The source does not provide exact date of survey.